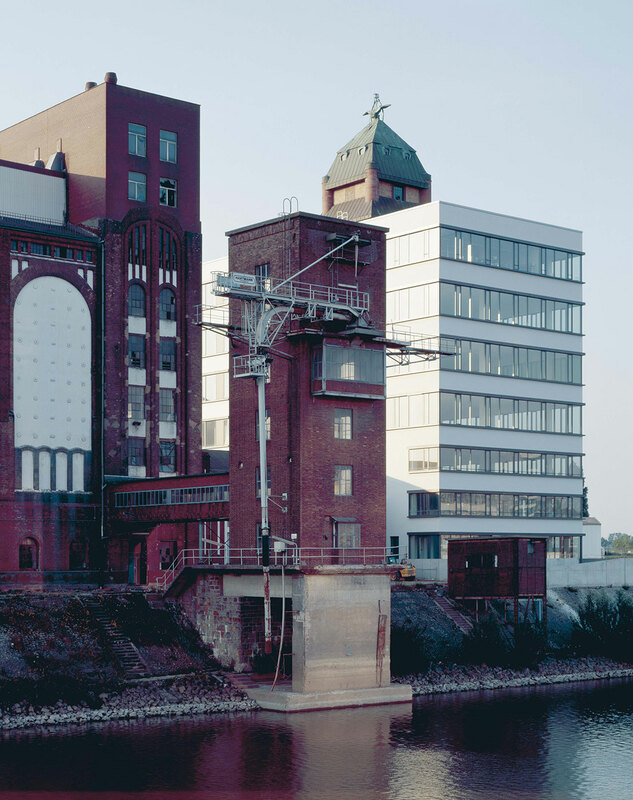 Originally built as a grain mill more than 100 years ago in 1906. 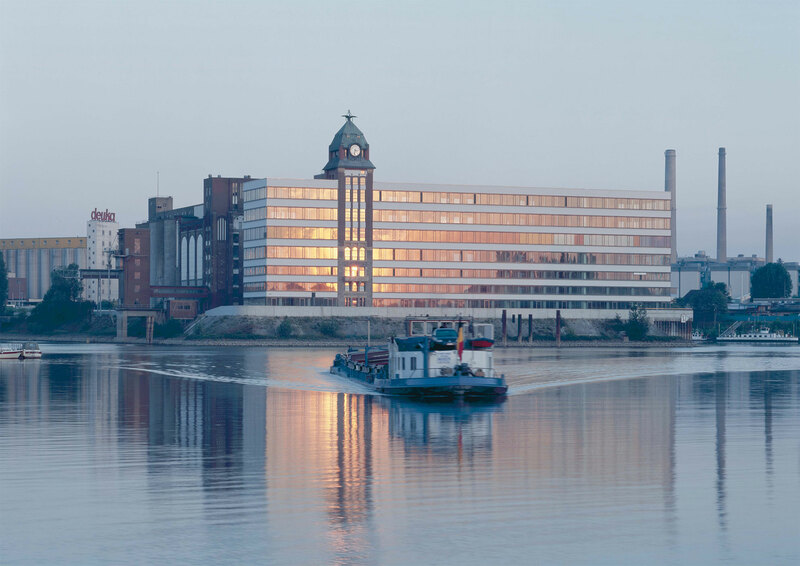 In the early 1990s the grain mill stopped its work and Düsseldorf City Council decided Plange Mühle to be part of the newly developed area Media Harbour. The beautiful masonry building, built in an English cross bond pattern, was preserved meticulously. In addition, the notion for simple and elegant linear façade of the long building was continued since that façade character was already existing since 1950s. 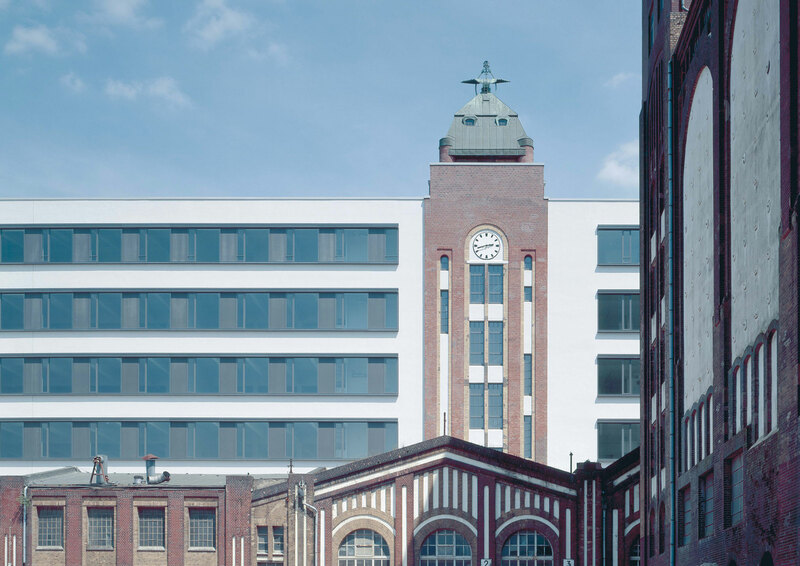 With this holistic approach the clock tower stands out and becomes the dominant element in the overall building. 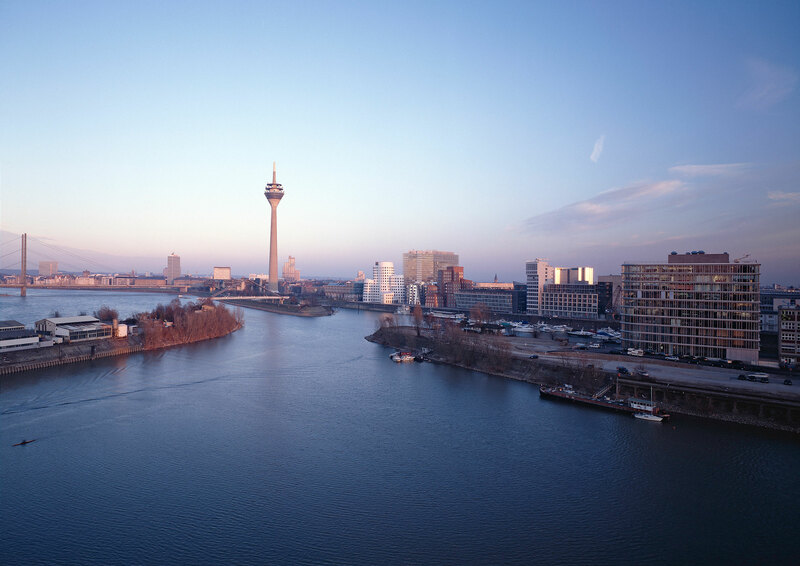 The flexible interior layout space, high ceiling heights and outstanding panoramic views of Media Harbour and Düsseldorf skyline makes it to be one of most desirable buildings with rental spaces in the city.